Worldlabel.com opens up an Etsy Store. We will be selling 25 sheet packs of Brown Kraft Labels and other type of label materials and also 100 sheets packs. The object of our Etsy store is to make your life as simple as possible when it comes to putting blank sheet labels on something you have created and want to sell, especially when you only want a small quantity of sheets. 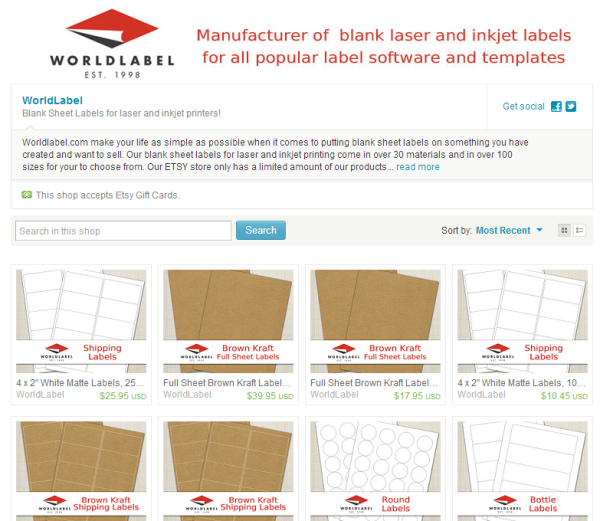 Our blank sheet labels for laser and inkjet printing come in over 30 materials and in over 100 sizes for you to choose from. This entry was posted in News and tagged etsy, etsy stores on November 25, 2013 by wlmanager. 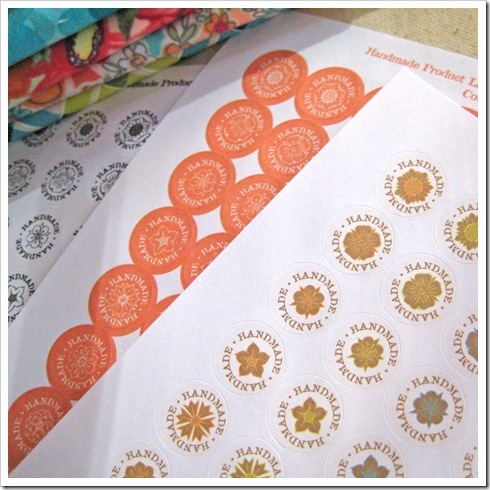 This entry was posted in Label Design, Labels & Printing and tagged etsy, labels on November 18, 2011 by wlmanager.